That Fault Line Beneath You: To Panic or To Prepare? With all the strong earthquakes plaguing Nepal, it is not uncommon for Filipinos to worry about a similar scenario happening in the country. The Philippines sits on the Pacific Ring of Fire, a region dotted with active volcanoes and numerous fault lines, therefore, every Filipino has had the experience of at least one major volcanic eruption and earthquakes in their entire lifetime. Lately, the Philippine Institute of Volcanology and Seismology (PHILVOLCS) released the "Valley Fault System Atlas," an informative collection of maps depicting the exact location of the two segments of this active fault line. 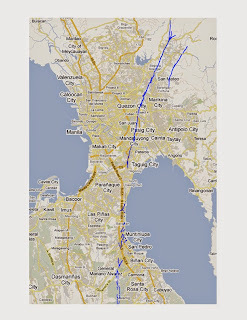 The West Valley Fault line is 100 kilometers long, traversing the Greater Metro Manila Area's cities of Quezon, Pasig, Marikina, Makati, Taguig and Muntinlupa; and portions of the provinces of Bulacan, Laguna and Cavite. Movement along this fault line may generate a magnitude 7.2 earthquake. The East Valley Fault is a lot shorter, 10 kilometers in length, and traversing the municipalities of Montalban and San Mateo in Rizal Province. Activity along this fault line may generate a magnitude 6.2 earthquake. According to the government agency, PHILVOLCS, the Valley Fault System is "ripe for movement" as studies have shown that the fault line shows activity every 400 to 600 years. The last time activity was recorded 357 years ago, in 1658. Metro Manila is where close to 12 million people live, work and study. The seat of government, commercial districts, residential high rises and countless schools, colleges and universities are concentrated in this area. A magnitude 7.2 earthquake will definitely bring the entire nation to a standstill. It is a fact that we have no control over the forces of nature, however, what we should have done in the past was better urban planning. Since that cannot be undone at the present time, the best we can do is to prepare for the worst and pray. Pray incessantly. If you have relatives and friends living in the Metro and would like to find out if their residence or place of work is near or directly above the fault line, click on the links below to find out. I appreciate this on-going awareness campaign of the PHILVOLCS. I personally believe that this was done not to create paranoia or fear. It is to educate us about the probability of an earthquake and what we can do to survive it. Keep Calm, Prepare, and Pray. The Philippians is such a beautiful place. I pray for the safety of all of those involved and affected by the volcanoes! I am certain that the information that was provided in this article will be very helpful for preparing for what could happen, let's just pray that the information will never have to be used! God bless! We don't really have to worry about earthquakes here in Florida but hurricanes are a major hit to us so I totally get planning and being prepared. It's definitely a must! Oh my goodness, I can't imagine how terrifying it would be to live anywhere near an active volcano . It's great that PHILVOLCS is helping to make everyone aware of the probability of an earthquake. I'm curious about what their advice is on surviving it so I'd love to read more about PHILVOLCS. Volcano's aren't something we have to worry about around here. Wow this is so incredibly important to know! I live in Georgia, USA so earthquakes and volcanic eruptions are not on my list of concerns. There was an earthequake here once, and I have heard that it happens once in a blue moon, but still. The safety information you've provided here, the maps, this is so valuable to the people in your area. Thank you for sharing. 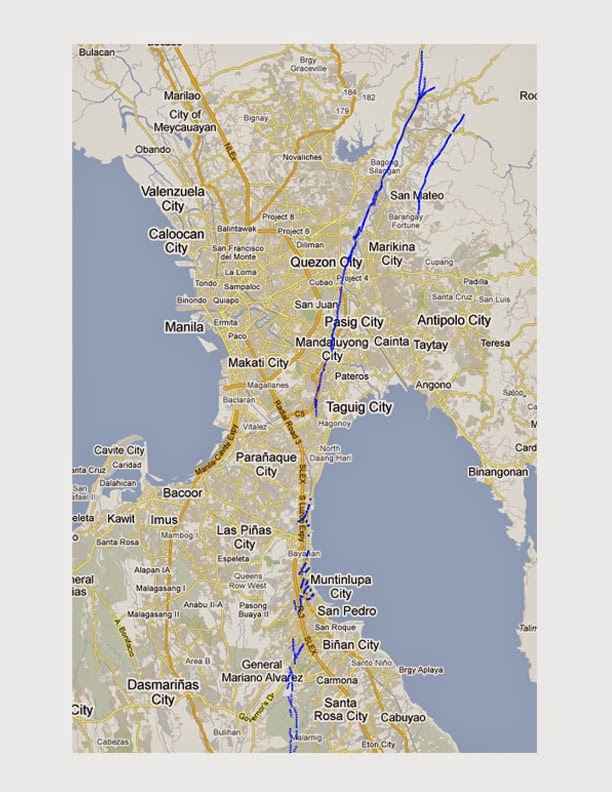 We don't live anywhere near the Philippines but we do live very near to a fault line. There has been a lot of earthquake awareness training lately so we've definitely made it a point to get prepared just in case! Thank you for sharing these great tips for everyone! So important to be prepared ahead of time and know the dangers are real. I live in California and we are on the San Andreas fault which is due to have a big earthquake any time soon so I know that we should be doing some of this to prepare ourselves. Thanks for sharing. Love your last comment - keep calm, prepare, and pray. Hopefully a lot of people in the Manilla area study these info graphics so everyone can be safe! I guess everyone can pray that the next big quake isn't for another couple hundred years.